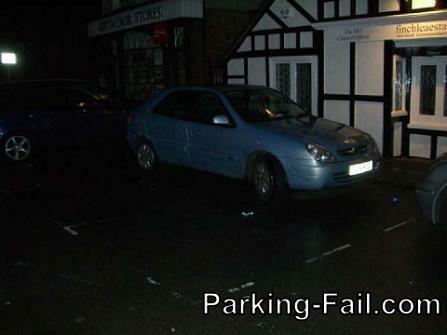 englishfailblog.com delivers us a nice comp(u)ter store parking fail. Because there’s no car included in this fail I cannot give a rating even if we have a nice typo. Rating: Extraordinary parking fail because of the car / blocked lots ratio!